Friendly Fires, Fat White Family, The Future Heads, VISTAS, THE VAN T’S and many more to join this year’s headliners at sixth edition of Electric Fields this summer. Electric Fields are thrilled to announce the first wave of artists for this year’s festival. 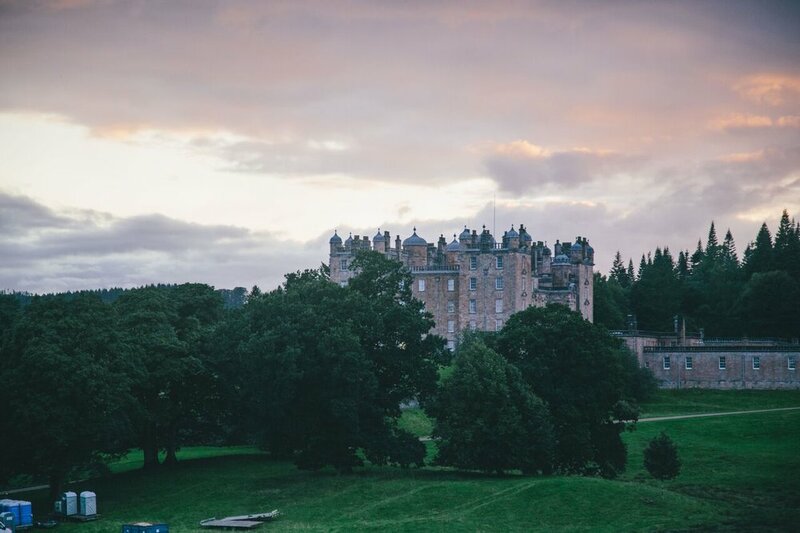 To help them celebrate their 6th year they have curated a fantastic lineup of some of the most exciting bands and artists around to join them in a stunning pocket of idyllic Scottish countryside, in the grounds of the stunning 17th century Drumlanrig Castle. EF19 will welcome three phenomenal headliners in the form of Metronomy, Frank Turner & The Sleeping Souls and The Vaccines. Mercury Prize nominated mavericks Metronomy continue to delight audiences with their enigmatic live show and distinctive take on nu-disco pop, Frank Turner & The Sleeping Souls are sure to rouse the EF19 crowds with their big-hearted anthems and celebrated rockers The Vaccines are no strangers playing to playing sellout crowds across the world with their infectious riff laden music. Sleaford Mods, Friendly Fires, Fat White Family and Nadine Shah also join the first wave of artists announced today, along with a huge selection of the best up and comers from around the country including Free Love, Heavy Rapids and Onr. One of Scotland’s best loved venues, Sneaky Pete’s, return to Electric Fields with a hand-picked lineup of electronic goodness, while Edinburgh’s spoken word collective Neu! Reekie! also return, with their full lineup set to be announced in the coming months. Renowned for their quality food and drink offering, EF is delighted to welcome back Scotland’s kings of street food, The Pitt who return with over 20 of their favourite food vendors to make sure everyone’s taste buds are as happy as their ears! Cocktails are once again served up by the award winning team from Hoot The Redeemer. As well as presenting an amazing and diverse musical line-up, Electric Fieldsoffers the chance to enjoy a beautiful rural setting that’s easily accessible from all major cities, with the iconic Drumlanrig Castle providing a grand backdrop. The festival is renowned for its great atmosphere and chilled out, family-friendly environment. The dedicated Our Kids Electric area is a constant source of fun & excitement for the little ones throughout the festival. Returning to a capacity of just 5000, this is one of the most intimate festivals of its kind in the whole of the UK. Following on from being finalists for ‘Best Small Festival’ in 2017 & 2018 at the UK Festival Awards, the EF19 team are working hard behind the scenes to continue to give music lovers the unrivalled Electric Fields experience. More news on what is to come soon! Tickets are on sale now from www.electricfieldsfestival.com - don’t miss out on your chance to join THE party of the summer and experience three days of incredible music, delicious food and fantastic entertainment in an intimate, community-minded atmosphere where everybody is welcome. Tickets are on sale now priced at £120 for 3 days plus camping. Tickets for 13 - 15 year olds are £50, £20 for 6 - 12 and those 5 and under are free. Electric Fields Festival takes place from 4 – 6 July 2019 at Drumlanrig Castle, Thornhill, Dumfries & Galloway DG3 4AQ. The site is approximately 90 minutes drive south of Glasgow / Edinburgh and 90 minutes north of Carlisle. All Points East announces final headliner... Mumford & Sons for 2019! TRNSMT Festival reveals Stormzy, Catfish & The Bottlemen and George Ezra as this year's headliners.